Savvy Spending: Swagbucks: Luau Team Challenge! Earn a SB bonus! Swagbucks: Luau Team Challenge! Earn a SB bonus! 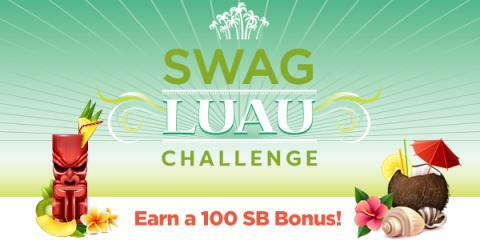 Swagbucks is holding a Luau Team Challenge to help you earn free gift cards! For those of you who don't know what Swagbucks is, it's a website where you can earn cash back on everyday tasks you do online like shopping, answering surveys, discovering deals, and watching videos. You can even earn for searching the web!